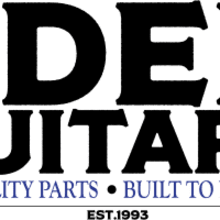 Established in 1993 as a guitar parts manufacturer, EDEN Guitars has since then grown into a business that provides musicians, DIY builders and wholesale dealers with high quality gear that won’t hurt their wallet. Eden Guitars started out primarily as an online company through our eBay store as well as our website, www.edenguitars.com, and has grown steadily thanks in large part to our dedicated service and the quality products we offer. In January of 2014, we opened our very first retail/wholesale warehouse in North America to serve our customers more closely. Since then, we have seen a large growth in interest and excitement for the gear that we carry and that enthusiasm is what we thrive on. Our goal is to provide our customers with unique options not available in other retail stores. Whether you’re looking to put a guitar together yourself from scratch or you’re a new retailer yourself, Eden Guitars has what you’re looking for at the right price. Orders will ship in 1 business day!! !